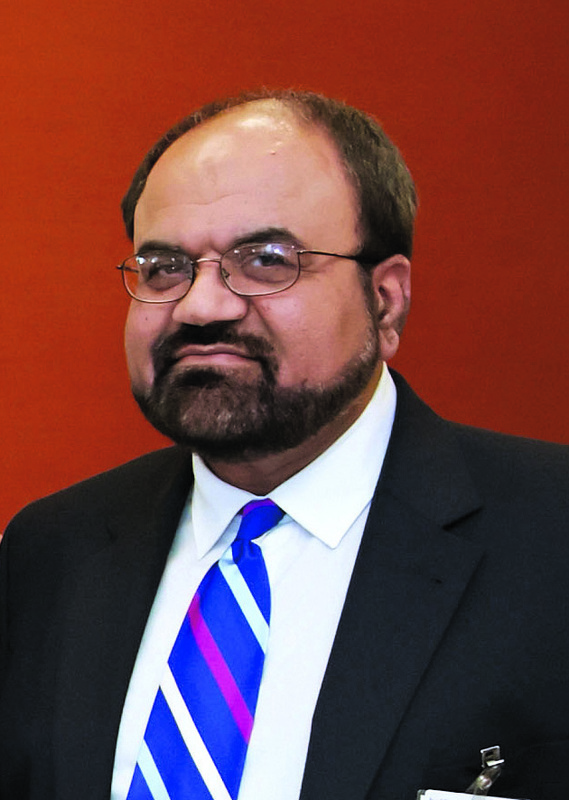 LOUISVILLE Aplastic anemia is a complex, relatively rare disease of the hematopoietic stem cells in the bone marrow, according to Khuda Khan, MD, PhD. 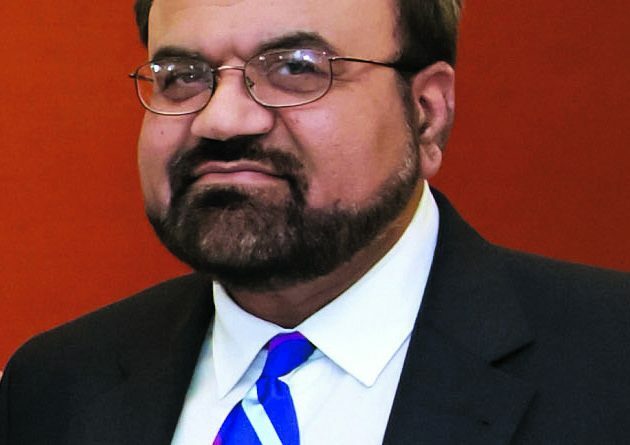 Khan came to the United States on a scholarship and received a PhD in immunology from Yale before completing his residency and fellowship at Duke. In his position as a hematology and oncology specialist at KentuckyOne Health in Louisville, he translates his scientific knowledge of the immune system into treatment therapies for complex disorders, such as aplastic anemia. “This is a challenging area in medicine with many new immunotherapies in clinical research and clinical practice,” says Khan, who sees adult patients ages 18 and above. “Aplastic anemia is a misnomer,” says Khan. “It’s really pancytopenia where all three hematopoietic stem cell lines are decreased – red blood cells, white blood cells, and platelets.” According to Khan, it occurs with an incidence of two-to-four cases per million population each year. Severity of aplastic anemia can range from moderate to very severe and can occur throughout the lifespan. He states that moderate aplastic anemia may not require treatment, whereas severe to very severe disease has a mortality rate of 70 percent within one year if not treated. “Patients with a neutrophil count of less than 500 and a platelet count of less than 20,000 require treatment to survive as they are at high risk for overwhelming infections and spontaneous bleeding,” notes Khan. Definitive and curative treatment options for the disease are stem cell transplant or immunosuppressive therapy. Says Khan, “Stem cell transplant is used for younger patients with a suitable donor, usually a sibling with the same HLA phenotype. Prognosis is good with a survival rate of 70 percent for patients under age 49 and 60 percent for patients under age 59. Stem cell transplant is not done over age 60 due to the high incidence of graft vs. host disease.” Khan works closely with the bone marrow transplant program at the James Graham Brown Cancer Center, which is jointly operated by KentuckyOne Health and the University of Louisville. “Immunosuppressive therapy is used for older patients and patients with no suitable donor. This is a three-drug combo using horse antithymocyte globulin (ATG), high dose steroids, and cyclosporine. Horse ATG is developed by injecting human B cells into the horse, which then makes antibodies against the human B cells. These potent drugs, which can have significant side effects, have a response rate of around 60 percent. Survival for elderly patients with aplastic anemia is less than 50 percent usually due to co-morbidities such as hypertension that increase the risk of sequelae such as spontaneous cerebral hemorrhage,” says Khan. “Aplastic anemia is a chronic disease and treatment can take months. All this takes an emotional toll on patients and families,” notes Khan. Those patients experience fatigue, bruising, and infections and are subjected to frequent medical appointments, blood draws, etc. “Sometimes patients/families think it’s just an anemia, but the prognosis is just as bad as lung cancer,” adds Khan. With their permission, Khan will match up patients to provide emotional support for each other. In addition, the Aplastic Anemia and MDS International Foundation or other hematology or oncology support groups can serve as resources for patients and families. Sometimes people think it’s just an anemia, but the prognosis is just as bad as lung cancer.